With Prince Zaleski, my time in the 1890s and the nineteenth century comes to an end, although I still have tons of books sitting here from that decade which I'll eventually come back to. And that brings up a good question -- with all of the books from that time sitting here still unread, why Prince Zaleski? The answer is simple: it combines mystery/detective fiction with fin-de-siècle Decadence, something I hadn't yet encountered in British detective fiction of the period. "too importunate, too unfortunate Love, which the fulgor of the throne itself could not abash; exile perforce from his native land, and voluntary exile from the rest of men!" He lives in a "place of hermitage," a "brooding-place so desolate for the passage of his days," which Shiel sees as a "vast tomb of Mausolus." It is an old mansion which has definitely seen better days -- in the hall, for example, which was built along the lines of a "Roman atrium" complete with "oblong pool of turgid water," Shiel encounters a "troop of fat and otiose rats." Dust clouds are everywhere, and Shiel describes a "funereal gloom" that permeates the place. He finds Zaleski is at home in a small apartment in "remote tower of the building," the entrance of which is guarded by his manservant Ham. Evidently the Prince is quite fond of pot -- the air was "heavy" with the "fumes" of cannibis sativa. There are all manner of Asian curios surrounding Zaleski, none the least of which is a sarcophagus with a rotting mummy within, culminating in an effect of a "bizarrerie of half-weird sheen and gloom." After some hash smoking and breakfast the next day, Shiel gets to the point of his visit, which has to do with the mysterious death of a certain Lord Pharanx. After Zaleski manages to solve that particular enigma, two more cases are presented to him: "The Stone of the Edmundsbury Monks" and "The S.S." While I'm not going to go into particulars of any of the three cases here, Zaleski combines his encyclopedic brain and his powers of deduction to provide answers via the armchair detective method in the first two cases, while taking on a more active role of investigator in the third. There might be something to the "Sherlock -- demented" comment by H.G. Wells, but it becomes obvious not too long into the book that Prince Zaleski seemed to have been written more with Poe's Auguste Dupin as a model for the detective side of the main character. Having read Poe's Dupin stories just last year, I can say that Shiel employs the same sort of "ratiocination" technique here as did Poe with his detective. I have very mixed feelings about Prince Zaleski, precisely because of the style in which the solutions were given (which I didn't care for in the Dupin stories either) in the first two stories, but I thoroughly enjoyed the sort of arcane and esoteric lore that comes out of Zaleski's head that helps him to solve his cases. My favorite mystery is "The S.S." which is a horrific case of either mass suicides or murders; this one continues to have relevance to our times, but in my opinion it is the best of three cases here. Prince Zaleski is the quintessential aesthete, which appeals to me, as does the Decadence tone of the book as a whole. 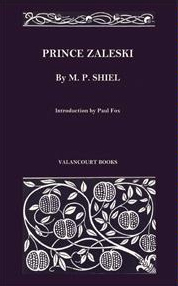 In his Glorious Perversity, Brian Stableford sets Prince Zaleski in the group of "most intensely lurid products of English Decadence" between 1893 and 1896 including Studies of Death, by Count Eric Steinbock, The Stone-Dragon and Other Tragic Romances, by R. Murray Gilchrist, Machen's The Great God Pan and the Inmost Light, and Shiel's own Shapes in the Fire. (119). 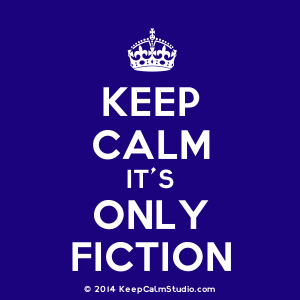 Bottom line: while it's probably not going to grab the hearts and minds of modern crime/detective fiction readers, it is very much worth reading for others who are more inclined toward the weird, the esoteric and the just-plain strange. This is not at all an average Victorian detective book, and it takes an extremely brave and patient reader to get through it. But it is definitely a book I'm very happy to have read. I'm very fond of the Zaleski stories. The collection published by Tartarus in 2002 contains 3 additional stories written by Shiel and John Gawsworth. Oh dear. Now you've got me wondering if $49.95 for a like-new used copy is worth it for 3 more stories. I'll have to give this some thought.